Paragon Builders and Twin City Marketing (pvt) Limited offer luxury apartments situated in the fully developed and beautiful sector D-17/2 Margalla View Housing Scheme with a flexible payment plan. 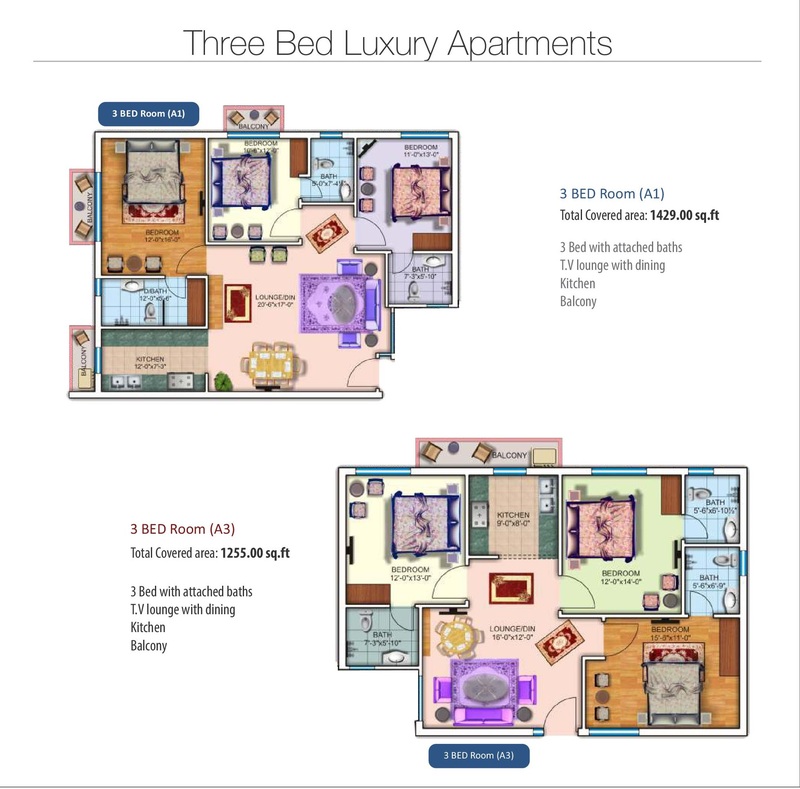 The project offers one bed, 2 bed and 3 bed luxury apartments with varying layout plans, sizes and prices. 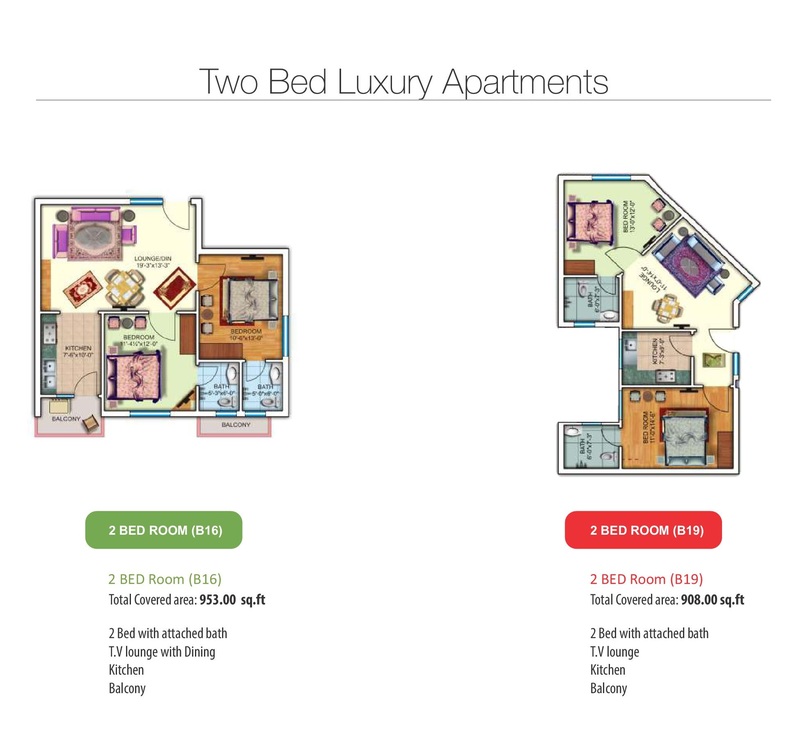 Twin City has a history of successful projects including Tulip Apartments and Pine Villas. 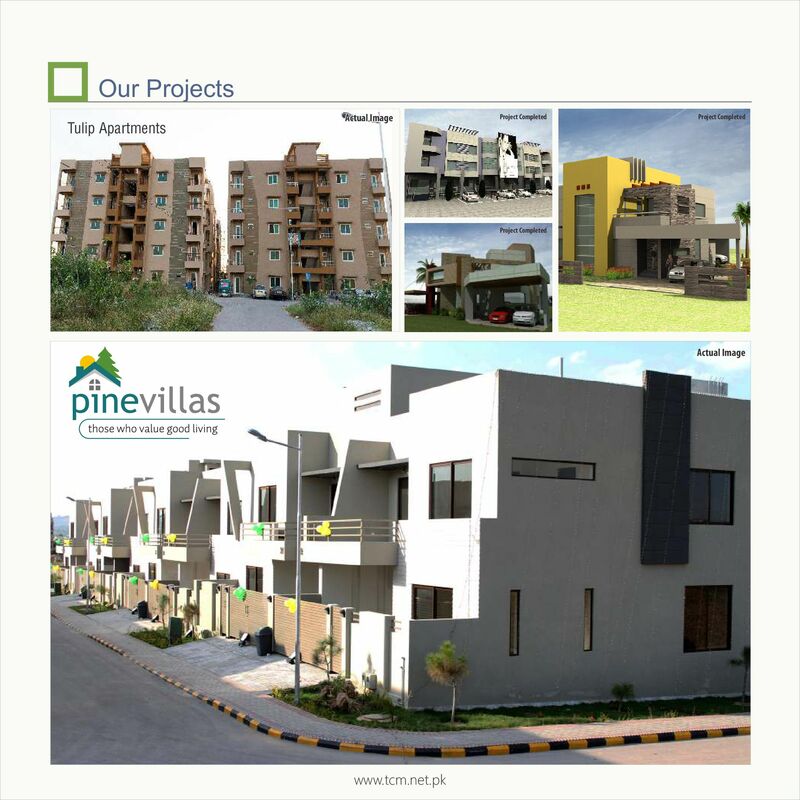 Both of these projects have been completed in record time and handed over to respective owners. Pine Heights is meant to meet the increasing housing requirements in the capital city Islamabad at an affordable cost while providing luxury living experience. Quality of construction is the top priority in all of the previous projects completed by Twin City. 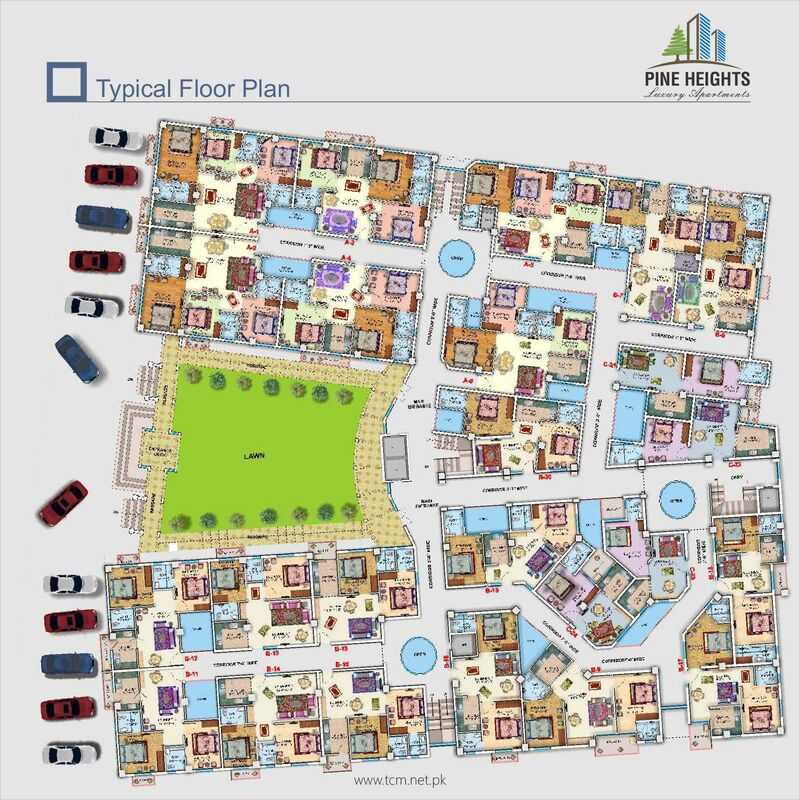 Find attached below the typical floor plan of Pine Heights. It includes wide parking area, lawn, wide corridors, open areas and lifts. 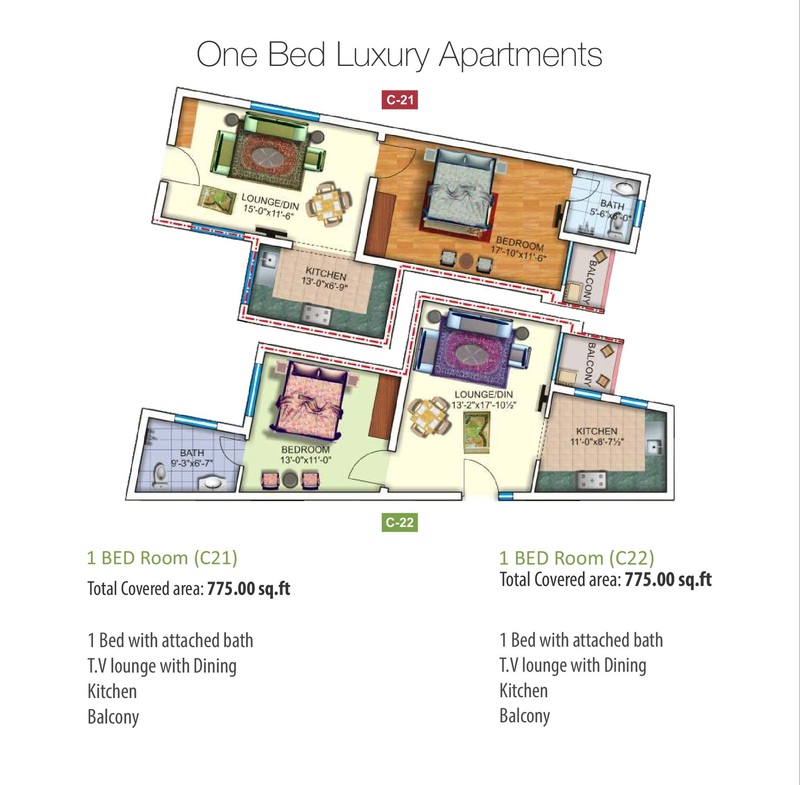 Find attached the floor plans of one bed, 2 bed and 3 bed luxury apartments with different sizes and layouts. Click on the images attached below in order to enlarge. 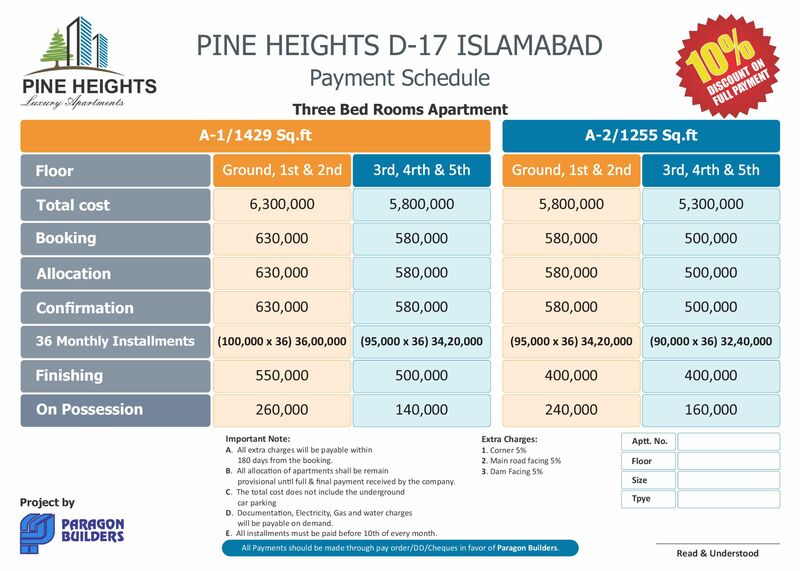 Find attached below the payment plan of all types of apartments available for booking in Pine Heights Luxury Apartments. 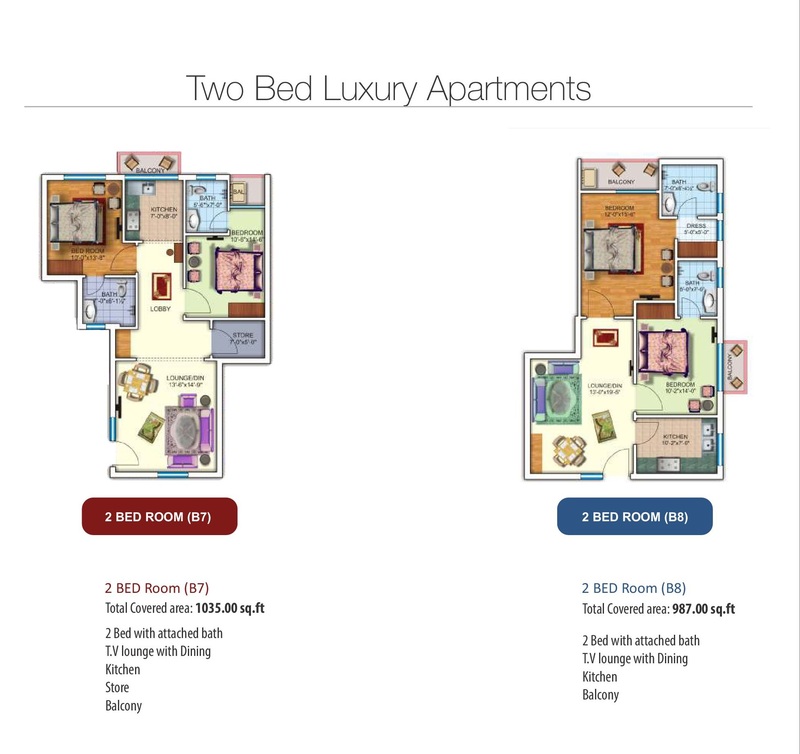 Prices vary according to sizes for same category of apartments. Click on the images attached below to enlarge. Pine heights offers 3 year flexible payment plan with around 30% down payment, around 15% in the end on possession and remaining amount in 12 quarterly installments. 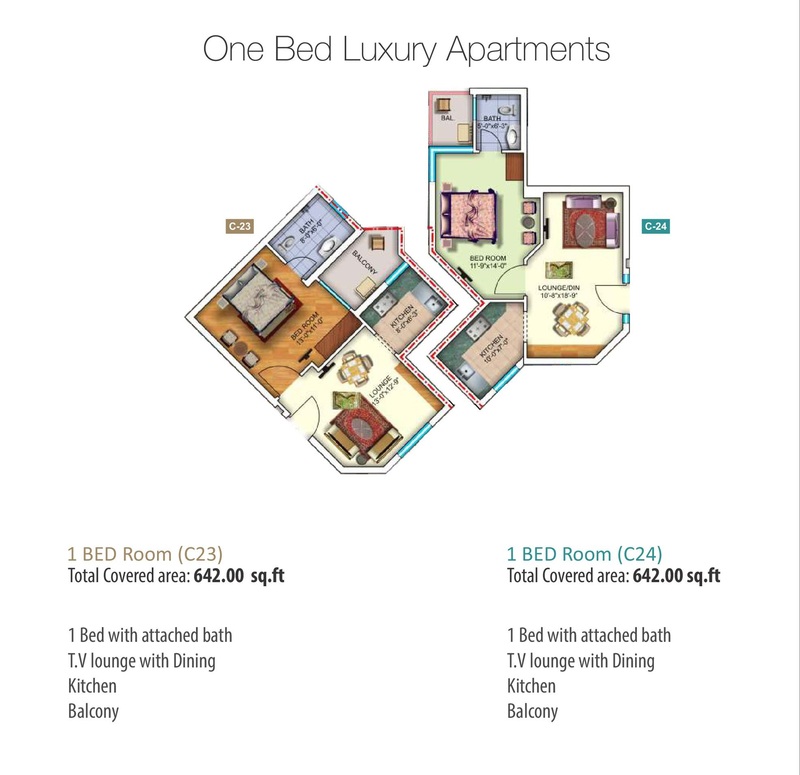 Note: 10% discount is offered on full upfront payment for these apartments. You can download booking form from the link given below, take print out, fill out, and submit for booking of your desired apartment. Submit these documents along with booking form in order to book your apartment.